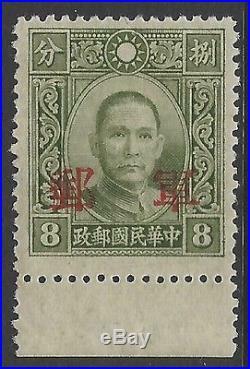 CHINA KWANGSI 1943 8c Military Field Post VARIETY p13½ Chan#M6b / SG#M686 var. L isted in Chan but unpriced, and a very scarce find indeed. Not listed in basic China catalogues. See photographs proving beyond any reasonable doubt perf 13½ (image #3), against the normal perf 14 (image #4). Very fine and fresh, no faults or toning. For condition, please view all high resolution images in this listing. Images are an integral part of the description. PLEASE NOTE - ITEM REQUIRES TRACKING SO CANNOT BE SENT TO PO BOX ADDRESSES. Some items currently in my store.. 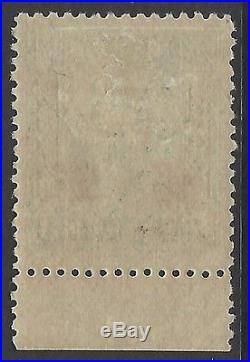 The item "CHINA KWANGSI 1943 8c Military Field Post VARIETY p13½ Chan#M6b UNPRICED in Chan" is in sale since Wednesday, April 5, 2017. This item is in the category "Stamps\Asia\China".